Fall in love with my fashion blog! 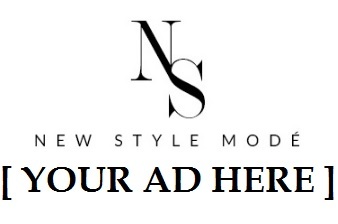 Welcome to New Style Modé, the place where fashion models come to be themselves. New Style Modé focuses on the everyday life of models such as what they love doing, where they like to hangout and how they like to dress. New Style Modé will give you an inside look into their thoughts, feelings and style. Hi! My name is Jenny and I’m a blogger living in the Big Apple. My friends would describe me as fun, outgoing and having a creative eye. I love going to Broadway shows, checking out new fancy restaurants and meeting new people. I could never turn down a slice of avocado toast or a delicious piece of chocolate. As the heart and soul of New Style Modé, I wish to introduce you to the excitement, beauty and magic of these models. Thanks for the follow and best of luck with your blog. Lovely blog; look forward to reading many of your posts:) Thanks a lot for stopping by mine! All these gorgeous models! Keep on blogging, you have a great start! This looks interesting! Hoping you the best luck with your blog!